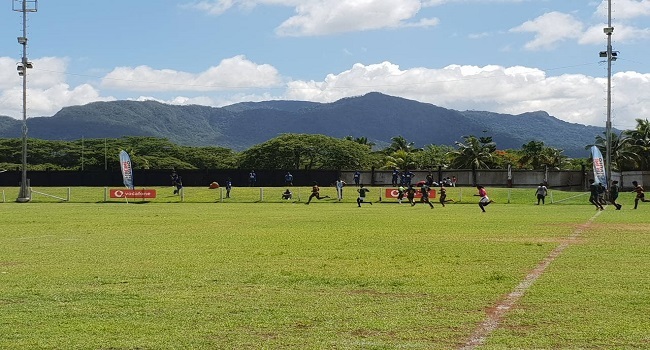 Round two of the pool stages of the Huawei Ucunipotu 7s have been completed at Subrail Park in Labasa. In the 2nd round of games, for Pool A – Westerland Natadra beat Kilaka Young Brothers 22 -5 and Somosomo Sharks thrashed Cagilaba 38 – 0. In Pool B, Nasagale Babas won over Saint Kris 12-5 and Eagles edged Kabu-kei-nai-loa 15-14. For Pool C, Faith Generation Brothers came out victorious against Nasaqa 28-nil and Natakala beat Nabua Koroalau 14 – 7. In Pool D, Surprise Nadi drew 10 all with Domoniwai and Wailevu beat Evergreen 19. 5. The last pool game matches kick off at 9am tomorrow, after which the quarter finals will be decided.